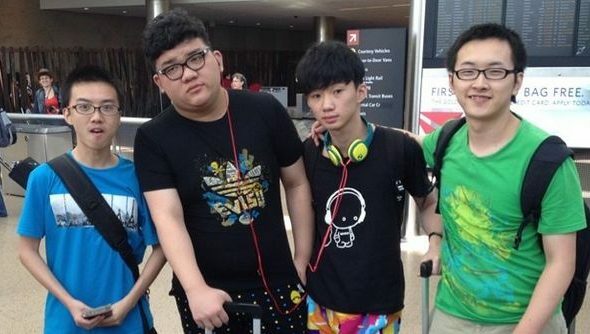 After being denied US visas on three attempts, Dota 2 team CIS-Game has finally secured their visas, landing in Seattle earlier today in preparation for this years International. CIS-Game were the runners up in the China qualifiers, and will face off with three other regional runner ups for the last spot in the prestigious tournament: where over $10 million dollars (and still growing) is up for grabs. New to Dota 2 and don’t know which heroes to play? Take a gander at ourbest Dota 2 heroes for beginners guide. The team was taken back by the officers knowledge of Dota 2; team member Inflame said that the officer asked for their Steam ID’s, wanting to add them all to his friends list. They “reluctantly” agreed. Earlier today the team touched down in Seattle, where the Dota 2 International will take place at the Key Arena. The team is naturally elated to finally be there, but now they’ll have to prove their worth in the wildcard match to secure their place in the tournament, which kicks off on Tuesday, July 8th. Translation courtesy ofMonv18hao from Team Liquid.